Been trying to locate a fellow that owes more than a dollar. That is what I do for a living at times plus go get the mail and make coffee at times. Just so happens the man I am trying to locate has an address on his Texas Drivers License on Greenspoint Drive with a number after the address making me think it is the apartment number. Sure enough, we drive up to the address and it is a strip center; the address is a UPS, Fed Ex, you name it, drop off station with mail boxes, mailing service, etc. This is the second address I have been to for this particular person and it is also the second mail box store he’s used as his address. This does not pass the smell test but then again, the outcome of all this will be interesting. It is all in a day’s work. Off the clock and on my time, we then headed down Interstate 45 and enjoyed the crowded freeway with its many road warriors and slow pokes. Got off the freeway at the Airline exit and ventured on down to the Farmers Market on Airline. Mangos, oranges, tomatoes, watermelons and plenty of people there. Didn’t even get out of the truck, but poked along the lanes eyeballing the produce and people. Had planned on eating at the little cafe just out of the Farmers Market but it was too early yet so off we go on down Airline ending up on Washington Avenue. We got lost in this vicinity several years back and came upon a dead end street. From that vantage point and behind a six foot chain link fence with barbed wire top, there were huge statues of President Bush, and others. These were huge heads cast of men of such prominence; guess that’s why they had such big heads. It is a Yuppie village on that side of town now. In areas that means it ain’t nothing but glorified 3 story apartment living. Imagine taking 3 stories down to carry out the trash and three stories back. Not to mention grocery buying. I’d just have to hang Four Dog out the window. We stopped at a high dollar Feed and Supply store on down Washington and browsed. With all that high dollar priced of stuff in there, it’s all we could do but browse; it’s higher than Cracker Barrel Fudge but we do like to look, it don’t cost a nickel. Lots of birds in this place as well as fowl meaning chickens and roosters. They even had ducks and gooses as well as several old cats about. All that brought about lunch time and we were just down from Rockefeller’s Club and around the corner from Hickory Hollow Bar B Q Restaurant. Best chicken fried steak in town, ’tis. Needless to say, food like that kills the heck out of my diet. Managed to drop a few LB’s but dieting seems to make food taste better. The better it tastes the more of it I eat so now you know the rest of the story. Charlie A. Farrar is author of many columns of homespun Georgia thoughts, that have appeared in the Star-Courier. He has published a book with some of the best, “Two Cents Worth.” To purchase a copy, send $12.95 to Star-Courier, PO Box 405, Highlands, TX 77562. The Pilot Club of Highlands wishes to express a great big THANK YOU to all our friends and supporters in making our 7th annual Community Fair such a great success. Special thanks to all the volunteers who cooked, served, and made all the desserts sold on Saturday. And to all the County services who were represented as well as the Highlands Fire Department, our deepest appreciation. The entertainment was terrific and a very special thank you to ELVIS who did a tremendous job. We are looking forward to next year and hope you all have the last Saturday of February, 2006 circled on your calendars. On March 2, 2005, Harris County Sheriff’s deputies responded to a disturbance at a residence located in the 300 block of Birchwood in Huffman. Prior to arrival, the deputies were given a brief overview. When the deputies arrived they set up a perimeter. According to the HCSO, deputies G. Demilia and A. Kellar made there way closer without being seen by suspect Bullard to relay information to units standing by. Bullard was seen discharging the shotgun and shouting, the HCSO said. Still armed, Bullard then entered a pickup truck that was parked in the driveway and attempted to flee the scene. Awaiting patrol units were able to stop him. The HCSO said Bullard was taken into custody without further incident and the shotgun was recovered from the vehicle. Bullard was booked on a felon in possession of a weapon charge, HCSO reported. He had been convicted on a prior drug case, the HCSO said. Bullard has a $10,000 bond and is awaiting his first court hearing set for March 4. 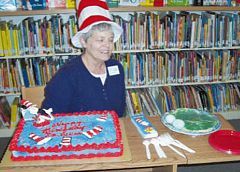 HIGHLANDS – Stratford Library celebrated the birthday of Dr. Seuss on Wednesday, March 2. About 35 children attended the party and enjoyed party favors, bookmarks, cake, punch and crafts to commemorate the occasion. On that day, Theodore Geisel, or Dr. Seuss, was born and since his death this day has become Read Across America. Sarah Davis, branch manager and Jeanette Jett, assistant librarian at Stratford, enjoyed the festivities clowning around with Green Eggs and Ham that was on display. The eggs and ham were not offered as part of the culinary delectibles to the public. Green Eggs and Ham was read as the token Dr. Seuss book and all had a wonderful time. Christy Graves, left, will become General Manager of ESD#5 now that Houston Hooper has taken a job with Harris County Health Dept. 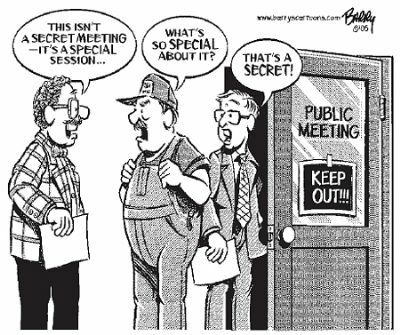 He will become a part of the bigger picture for safety of the County effective March 15. At the same time, the Medic Director for ESD#5, Dr. Minson is leaving to play a much part in the County’s Homeland Security Preparations. Tentative plans are to replace him with the medical director of the City of Liberty. Ms. Graves said, “I’m looking forward to doing this because I’ve been a member of this service for 9 years and I have friends and family right here in this community. I feel that I bring a strong teaching background, having taught at San Jacinto College for 9 years; as well as, a passion for making ESD#5 the best EMS service in Harris County. I look forward to working with the fire department and potentially writing mutual funding grants for training and equipment. I am a grant writer and have been instrumental in enabling services to receive grants. “Having also worked with Channelview EMS for the last 12 years, I am familiar with surrounding services. I sit on the Grants Review Committee for the Southeast Texas Trauma Regional Advisory Committee and I also sit on the Safe Kids Committee For Injury Prevention and Accidents Prevention. CROSBY  A wee hours motorcycle wreck Sunday morning became the first fatality this year at the railroad tracks on FM 2100. Michael Donahoe died after his motorcycle collided with a utility pole in the 5600 block of Main St. at about 2:30 a.m., according to Harris County Sheriff’s Deputies. Deputies say the motorcyclist may have lost control when trying to cross the tracks. The motorcycle then went off the roadway and into the pole. Witnesses indicate Donahoe had left a friend’s party prior to the accident. Velma Ellison displays Crosby Christian Academy’s Recognition for Excellence from the Lee College Small Business Development Center. 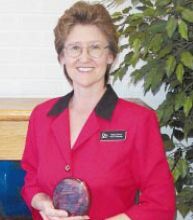 Ellison received the award as the 2005 Monument Awards Small Business of the Year Finalist for a Rising Star. In 2003, Ellison’s Alliance Properties received the Finalist recognition. BAYTOWN – The Goose Creek school trustees honored a long time winning baseball coach, Ronnie Kluch, at their board meeting of Feb. 21, by naming the baseball field at Sterling High School for him. Kluch is a native of Highlands, and his family still lives here. His father is Kluch, and his sister is Betty Michalsky. Kluch was known for his 10 winning seasons, with a record of 200 wins, 74 losses. But he was also remembered for the inspiration he taught to his teams. Speaking at the ceremony, Deacon Winters said that Kluch taught his players how to win, but also how important to strive for excellence. Kluch coached the team to 4 district championships, and tied for the title three times. The most memorable game was in 1979, when the Rangers played Springwood, a 30-1 team that had as a pitcher a young man named Roger Clemens. Sterling won the three game series. 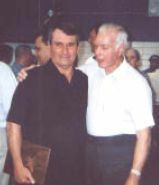 Kluch played for Sterling before he became a coach there, and his baseball coach was Don Truhardt, who was on hand to speak about the qualities of Ron Kluch that had made him a winner through life and his playing and coaching career. Kluch gave credit for his winning ways and his work ethic to his father, Henry Kluch. And also in his remarks he reminded the audience that he did not win the games, but his players did. All Fridays are good, ain’t they? Maybe March will bring some better weather than all the wet and cold conditions and all that has been around. Bring back the 80’s make my day. I’m itching to get in the garden and do my thing; one of which is to catch the cat that has discovered my garden. I’ll sting its tail with a BB if caught squatting. Ain’t nothing worser than cat! I told the Mrs. I was ready for a spring fling. She told me to go get the shovel and fling some over the back fence. Actually with spring being three weeks away, it is time for a weekend jaunt, short road trip or a spring fling for us. She told me she has the day off on Good Friday so we will have a three day weekend and I told her I thought all Fridays were good, ain’t they? Maybe a little road trip towards Austin to see the blue bonnets in bloom and what ever may spark an interest. Maybe later on a trip to Canton & First Monday Trade Days will cure the spring fever urge to go for the time being. With the First Monday Trade Days it’ll get the itch out of my system because all of the walking involved. Maybe just a simple “get out of Dodge” for a weekend excursion will do the trick or scratch the itch of relief from life’s many stresses. A different stroke and a day away from every day life coupled with those contained therein if you savvy. Lord knows we all need a little more than a sigh of relief sometimes. Maybe I’ll get a scratch later. Riding around the yacht basins around Galveston Bay would be nice on this sunny and cool day. I’d buy supper and make her chuckle more than once but mind you, she’s got lots of smarty mouth answers to reply to mine now days. She had a good teacher. If she would drive, I would go in a minute but my back seat driver’s license prevents many excursions like that so Ihave to drive. HUMPH! What is your credit score? Do you know or care? Briefly your score can range from 300 to 850. I’ve seen an 849, NO MAS. Paying on time counts for 35% of your score, that’s a big percentage. 30% of what you owe as a percentage of available credit so don’t go near your credit limit. 15% for the length of time you had credit. 10% for credit mix meaning department stores, bank cards, car payments, etc. Personal finance companies bring down your credit score! 10% for you applying for new credit so slow down on your wants. Being at 80% of your credit limit kills your score. Bankruptcy will stay on your credit for ten years. I’ve known marriages that didn’t last that long.